The Bavarian alpine upland is truly inspiring owing to its marvellous mountain landscape and its impressive history. One of the most popular travel destinations is Neuschwanstein Castle. Each year more than one million people from all over the world visit this great castle, which was erected by King Ludwig II in 1869. 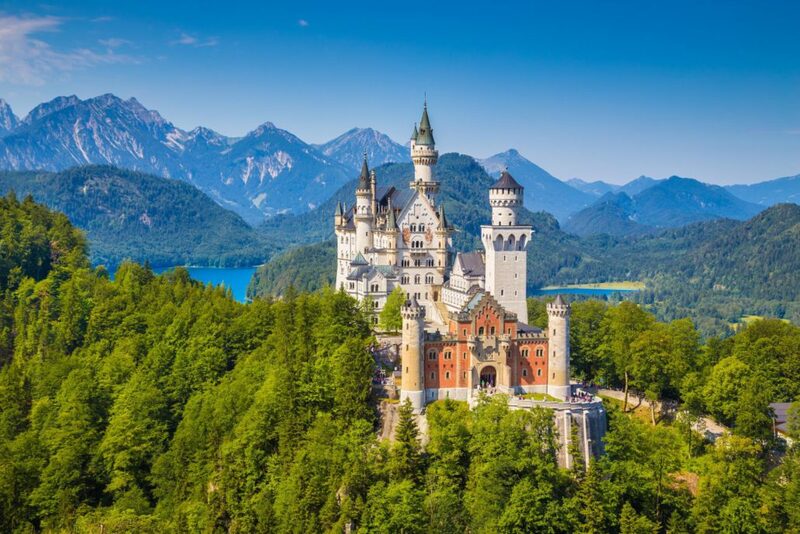 Apart from Castle Neuschwanstein, various sights, such as Castle Hohenschwangau, Castle Linderhof, Castle Herrenchiemsee, Ettal Abbey, Andechs Monastery or the Obersalzberg region with the Eagle’s Nest, are regarded as the most attractive excursion destinations in the Munich area! Please do let us know which of Bavaria’s sights you would like to visit and we will plan your personal day trip. A trip you surely won’t forget that quickly, especially in combination with our saloon car service! If desired, we can arrange for a tour guide speaking your language. 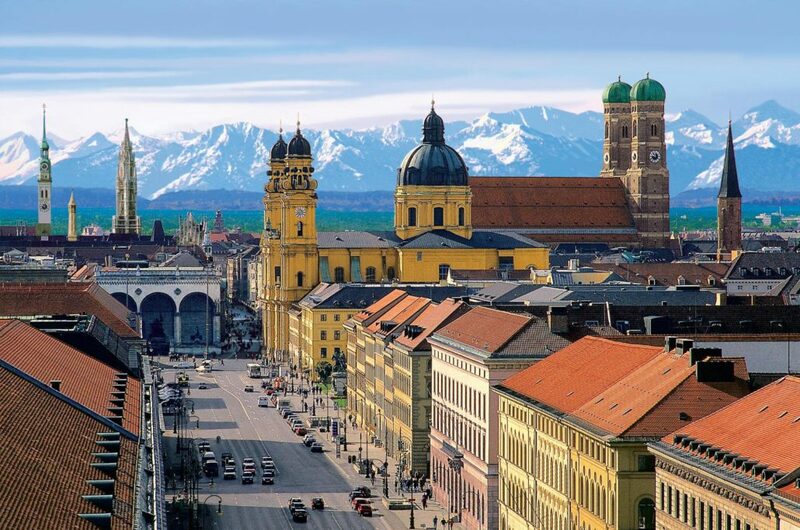 The Bavarian capital city of Munich is generally regarded as one of the most beautiful metropolises in Germany. Numerous beer gardens, the Isarauen (floodplains on the river Isar), Castle Nymphenburg, the Viktualienmarkt (a food market), the old city gates, the Olympian facilities, Ludwigstraße and Maximilianstraße, Marienplatz and Odeonsplatz (two squares), all contribute to shaping the cityscape and the strong Bavarian culture. Discover these sights with our chauffeur service and get to know Munich inside out. Our drivers are highly familiar with the localities and can guide you through the city giving you little fun facts for each attraction!